Monday was a monumental day for anyone who is invested in the life and happiness of the franchise’s wonderful closer. 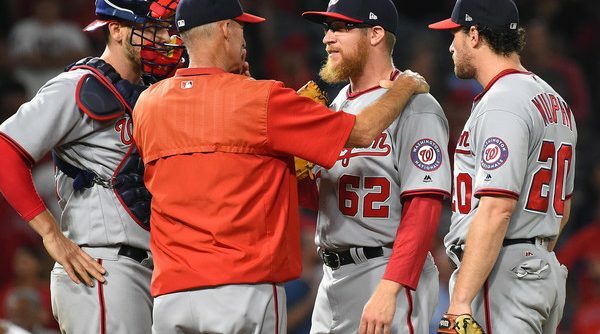 New National Sean Doolittle and Eireann Dolan, a comedy writer studying Theology at Fordham University, eloped Monday, becoming the first Nationals to ever get rings in October. Over the bases and through the steps, to the clubhouse Zimmy goes. 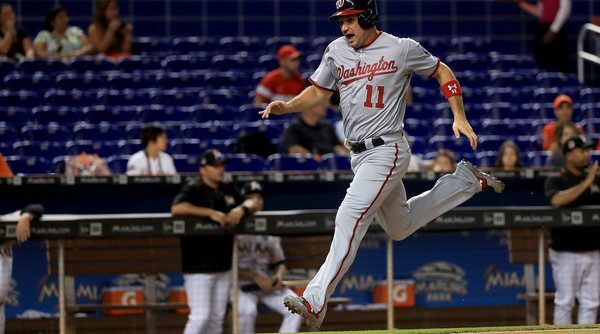 The Ryan Zimmerman Renaissance is the gift that keeps on giving. 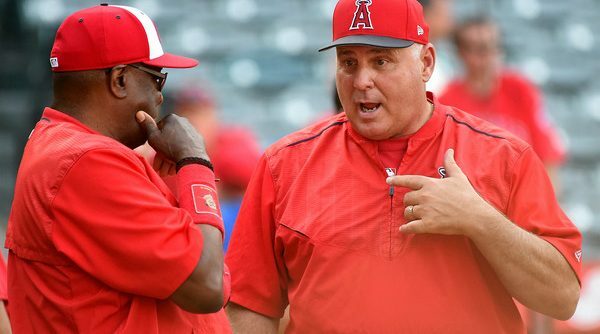 Homers, extra-base hits, infield singles, a renewed spring in his step–all characteristic of this great age in Zimstory. Zimmerman scoring from first on a Howie Kendrick double is another unique byproduct. 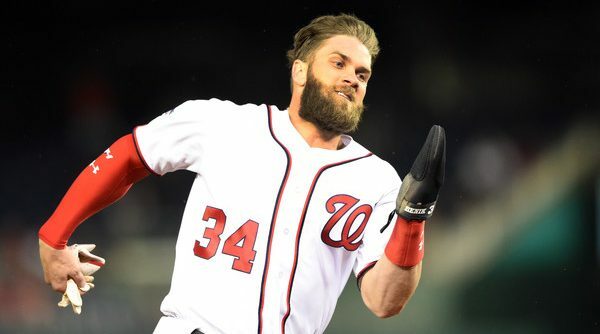 The beeline he made for the clubhouse after touching home might be even better, though. 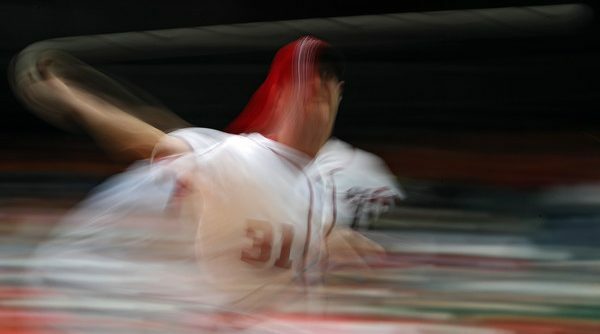 The Washington Nationals gave Max Scherzer a whole lot of offense for his birthday on Thursday, outdoing any birthday present you’ve ever given or gotten. 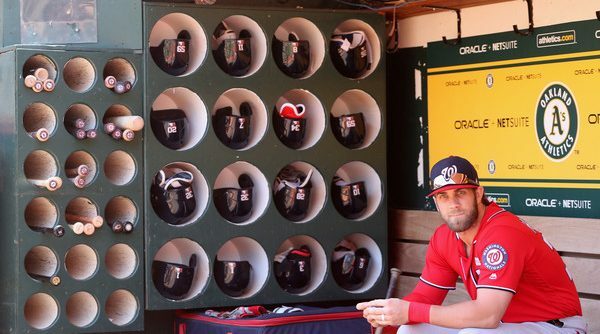 There might even have to be a rewrite on the Twelve Days of Christmas to change the lyrics to “eight home runs… and a pigeon with a great seat.” Knowing that this is the off-field content we live for, the Nationals didn’t stop there. 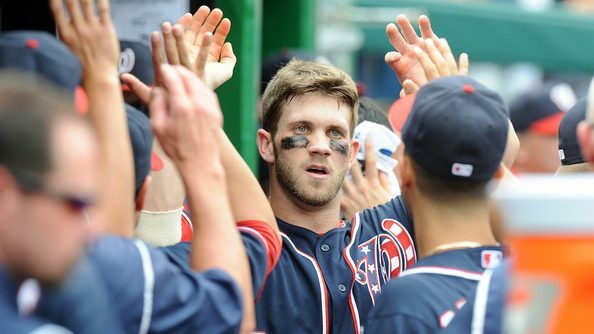 Thursday was an off-day for the Nationals, so there was too much time to ruminate about the relationship status of a professional baseball team. 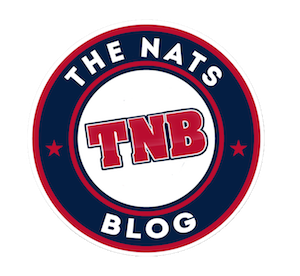 Yes, that means this author’s last two posts on The Nats Blog dot com are about assigning (b)romance-related characteristics to baseball relationships, but the Nationals and the Angels truly left me no choice. 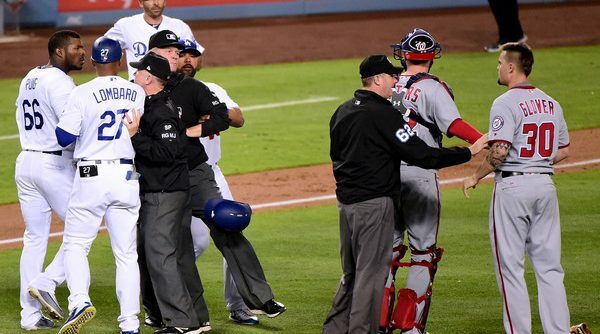 The two teams packed the most flirting into a two-game series since Alex Rodriguez asked a woman for her phone number during a game in 2012. Aaron Judge fought his way to the Home Run Derby title and further into our hearts like Rambo with a baseball bat for a machete or even like a Great Dane puppy. Maybe both. Gary Sanchez, Cody Bellinger, Miguel Sano — all contestants put up a fight and contributed to the night-long meteor shower of baseballs. God bless the long ball, each and every one. That includes the dingers from Justin Bour, who put up 22 dazzling home runs only to be beaten by Judge’s 23. 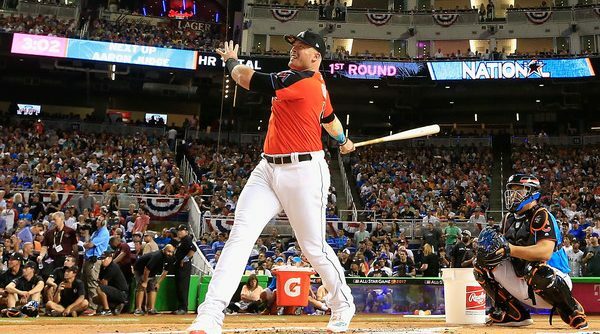 Bour’s was a joy for Miami faithful on its own, but the most important discovery of the derby, out of all the bombs and celebrations, is the previously undisplayed relationship between Bour and Bryce Harper. 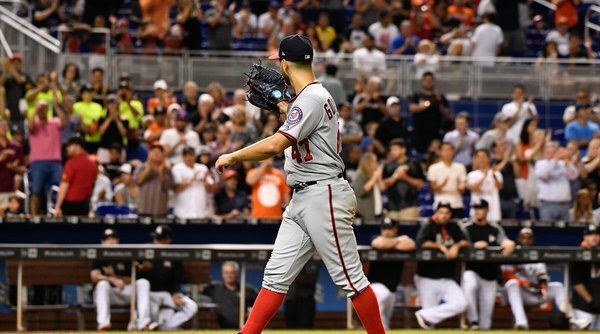 There are two major takeaways from the Nationals this week: 1. They are very good at playing baseball on the western half of the United States. And 2. They are very good at keeping things interesting off the field.